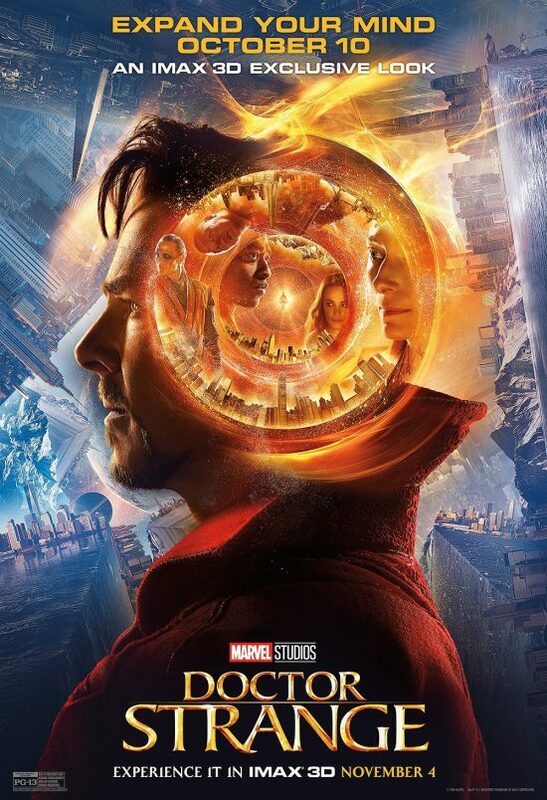 After having to skip a review for Inferno last week (which no one seemed to miss given the weak debut numbers and the 58% drop it took this weekend) we are back as Marvel officially kicks off the holiday movie season with Doctor Strange. While ultimately the film more or less falls in line with expectations not daring to be anything more it is still rather entertaining and worth a trip to the theater and the price of an IMAX 3D ticket thanks to some stunning visuals and action sequences. The B&B theater, Chenal 9, where we see and review the movies each week is currently playing it in this format so if you're a local reader be sure to check it out there. As Charles has been out of town the past two weeks for work Jordan once again joined the team to help me talk the newest entry in the Marvel Cinematic Universe. Though both of us found the movie rather middle of the road, the box office response would suggest otherwise as Doctor Strange conjured up an impressive $84.9 million followed by strong performances from both Fox and DreamWorks Animation's Trolls and Lionsgate's Hacksaw Ridge. As I started a new job that pays the bills last week I wasn't able to catch either of the other new releases on Thursday or over the weekend, but I plan on catching up with both at some point this week. That said it's good to see people heading to the theater and supporting different kinds of movies. Of course, the biggest news of the weekend was Strange whose $84.9 million was good enough to earn it the second highest origin story opening of the MCU behind only the original Iron Man ($102.1 million in the summer of 2008). Strange has been playing internationally for over a week now though, so adding the U.S. box office numbers to the mix brings the films total to well over $300 million in only 13 days. In short, there is still no stopping the well-oiled machine that is Marvel Studios. That's it for now, but as always, be sure to follow us on Instagram, Twitter, and subscribe to our YouTube channel as we have a new review (or reviews) up each week! Read my full Doctor Strange review here.